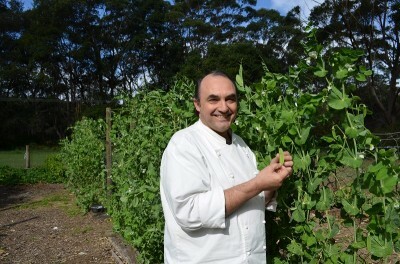 Accoutrement welcomes back Stefano Manfredi on June 27th to its in house cooking school with ‘Presenting Piedmonte’. Since first visiting the Barolo region and the city of Turin in the 1980’s Manfredi has been a student of the traditions of this vital region of Italy, its produce, its wine and its culinary traditions. ‘Presenting Piedmonte’ will be a celebration of the Italy that borders France and Switzerland, found at the foot of the mountains, surrounded on 3 sides by the Alps. Home of the beautiful city of Turin, Piedmonte is the next destination for a Gourmet Tour with Stefano and Accoutrement’s Sue Jenkins this October. 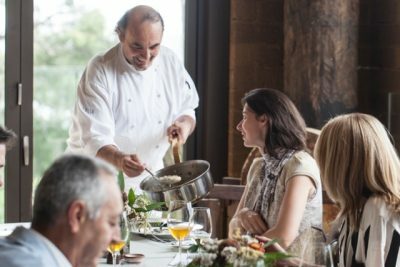 You may have missed your chance to take the tour but in this class, Manfredi will take you there in kind, and including an introduction to ‘the slow food movement’ – born and bred in the little Piedmontese town of Bra.